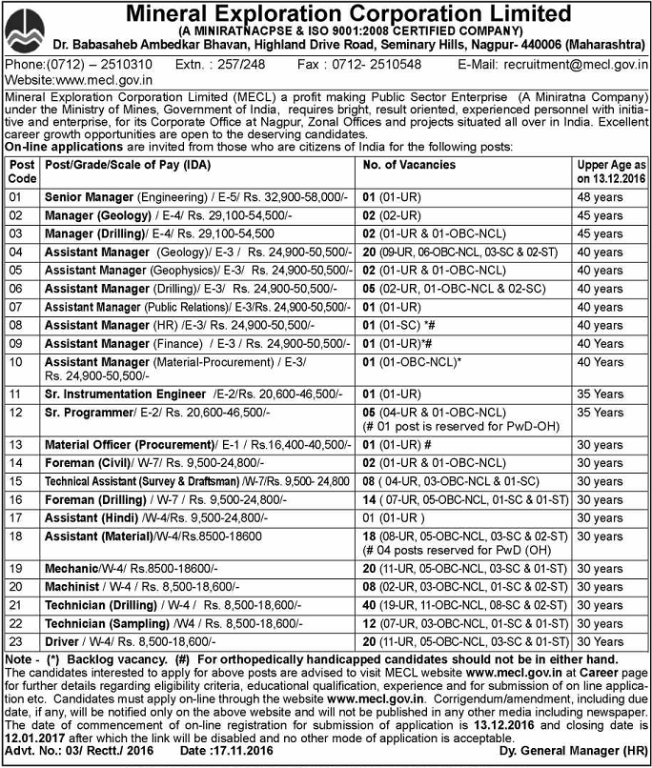 Mineral Exploration Corporation Limited, Nagpur is going to recruit for the post of Assistant Manager, Foreman, Assistant, Technician, Stenographer.The candidates may apply till 12th January 2017. Click on the link 'Apply Online' given below. Fill up the application form and upload the photograph and submit.